Is your every waking moment tormented by a continual flow of business ideas, most of which seem brilliantly doable at lunch but have been tossed aside on the heap of mediocrity by the end of the day? 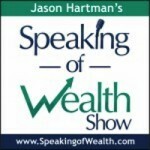 Jason Hartman would like to offer you a way to get off the mental treadmill and quickly decide whether or not a particular product or service idea is worth pursuit. Here is a fifteen minute process to run your idea through. The world is a large place and it’s possible that someone else on this big blue marble is already at some point in the development process of an idea similar to yours. There’s not much original under the sun. In addition to searching for products/services already in the marketplace, look for patent filings, etc. Remember that finding your idea already being executed isn’t the kiss of death. Think partnership! Now it’s time to lean back in your chair and ponder the specifics of your business idea. How will you produce it? Where will you get supplies or employees? Who are the major competitors? What’s the profit margin? 1. Target population – Unless your name is Wal-Mart or Amazon, your target population is not every human alive. Realistically, who will buy your product or service and how will you find them? 2. Purchasing frequency – Is the product or service you intend to market something that will be purchased frequently, infrequently, or only once? A customer might buy thousands of razor blades in a lifetime but only one luxury yacht. 3. Market penetration – How deep into the market will you need to go in order to achieve your revenue goals? How tough is the competition you’ll be facing? Thinking of going head-to-head with Amazon selling books? You might want to ponder that again. 4. Price point – Before you proceed, you’re going to need some idea of how much to charge for your product or service. Is it in line with what competitors charge? Can you turn a profit at that level?